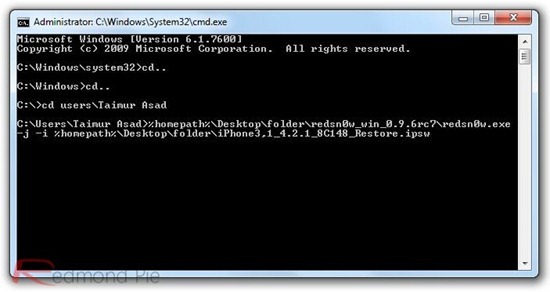 The iPhone Dev-Team has released Redsn0w 0.9.6rc7 to help you boot your tethered jailbroken iPhone, iPad or iPod touch quickly, bypassing some of the screen that you will normally see when using Redsn0w for iOS 4.2.1 jailbreak. We’ve updated redsn0w to include “one-click” support for those of you running the tethered 4.2.1 jailbreak. Using command-line arguments, you can now bypass the screens you’d normally see as you use redsn0w to “Just boot tethered for now”. Make sure you have the latest iTunes 10.1.1 installed. 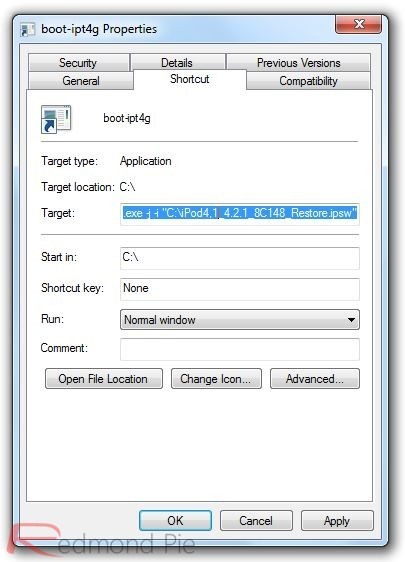 Windows 7 and Vista users should use Redsn0w in “XP Compatibility Mode”. All the required download links are given at the end of the post. 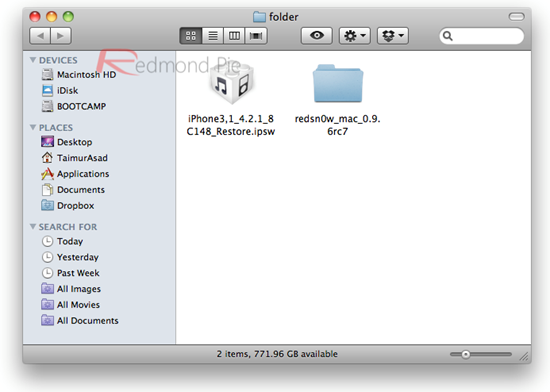 Step 1: Download Redsn0w 0.9.6rc7 for Windows and the required iOS 4.2.1 firmware file. Place them in one single folder on the Desktop. Step 2: Start Command Prompt on Windows with Administrative privileges. 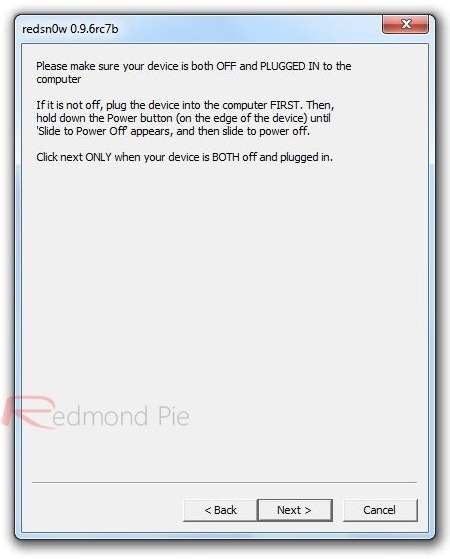 Step 4: Redsn0w will now start, follow the onscreen instructions for entering DFU mode to boot your device in a tethered jailbroken state. You can now also create a desktop shortcut with the above command line parameters in the Target field to boot your iOS device in a tethered jailbroken state with just one-click. 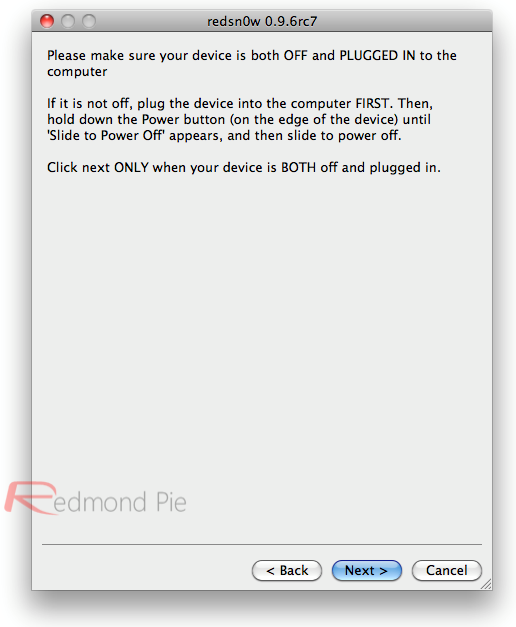 Step 1: Download Redsn0w 0.9.6rc7 for Mac and the required iOS 4.2.1 firmware file. 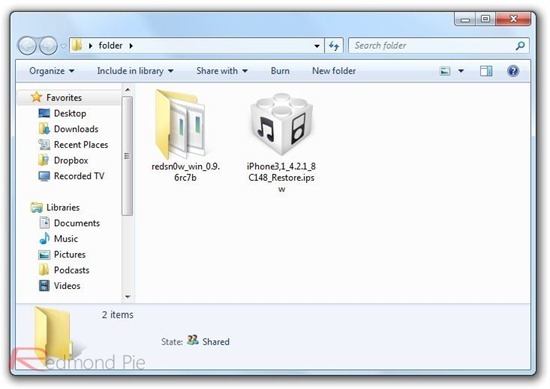 Place them in one single folder on the Desktop. 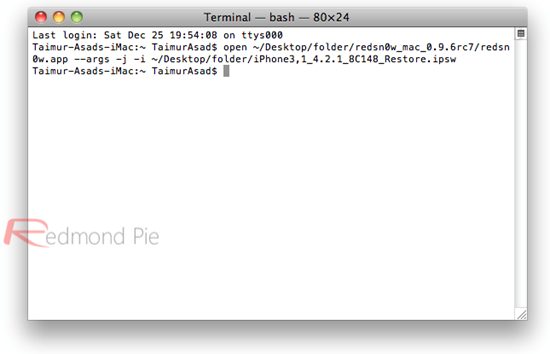 Step 2: Start Terminal on OS X. You can now also create a one-click executable .command file using AppleScript Editor with the above commands to boot your iOS device in a tethered jailbroken state with just one-click.